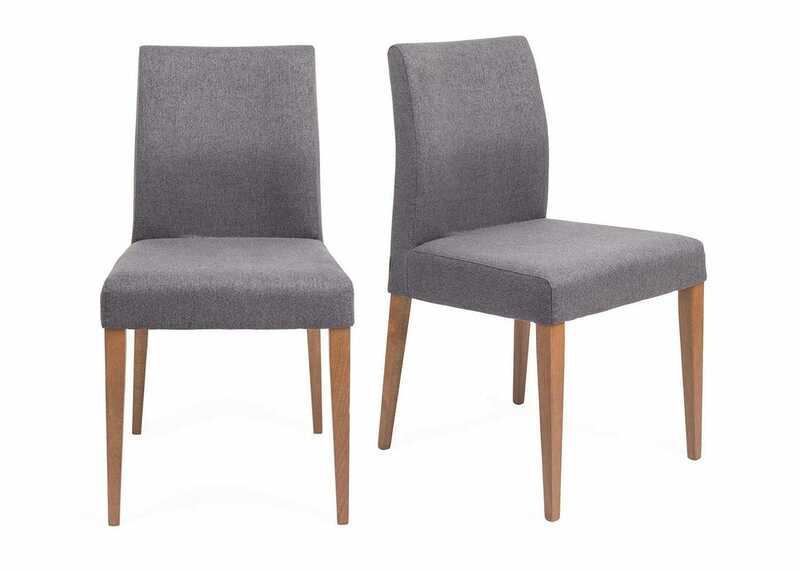 AS SHOWN alongside the Wyatt Leather Effect Grey Chair, Buffalo Side Chair in Dark Brown and Profile Chair in Walnut. 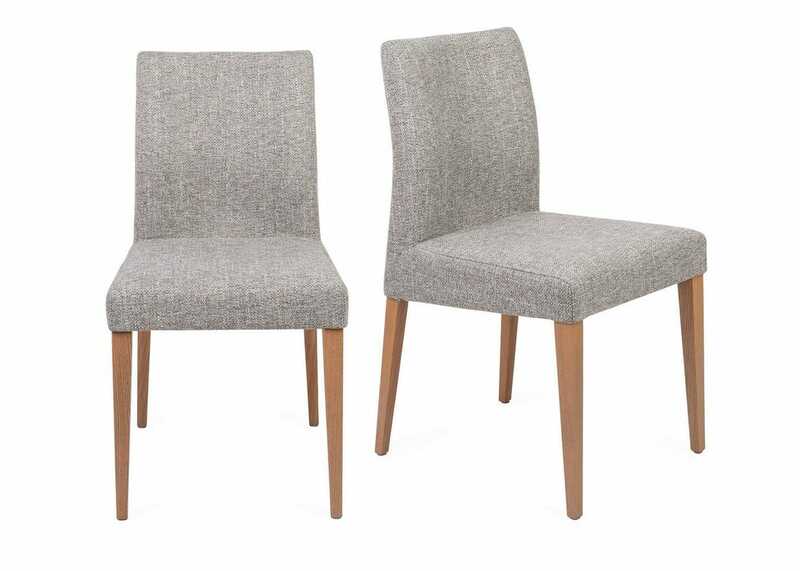 Crafted in Heal's own factory in Northern Italy, the home of luxury craftsmanship, the Hudson Chair, sold as a pair, epitomises comfort and style for the dining room. 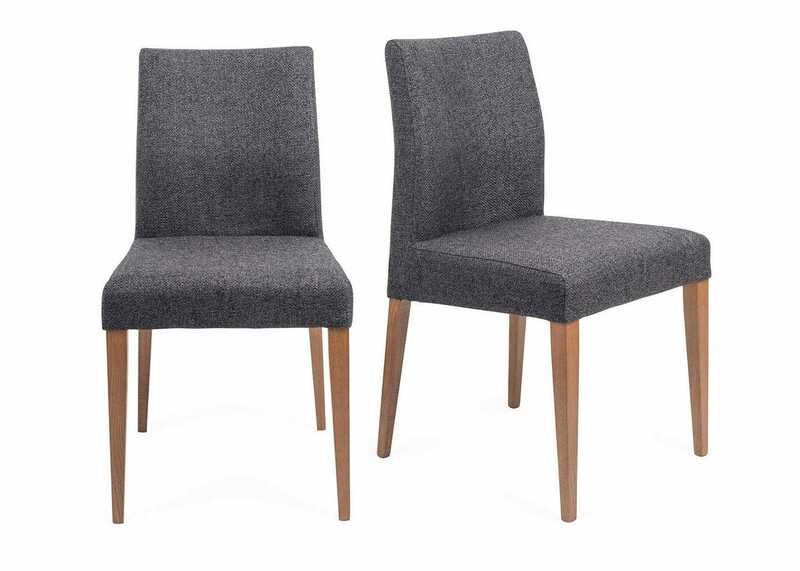 A modern aesthetic is created with a subtly curved silhouette complemented by tapered wooden legs. The carefully designed build up of foam for the backrest creates multi-directional support, creating an inviting seat that will stay comfortable for hours during family dinners or long dinner parties. The Hudson will look perfect around our collection of dining tables creating a perfect pairing for a Scandi and modern dining room aesthetic. 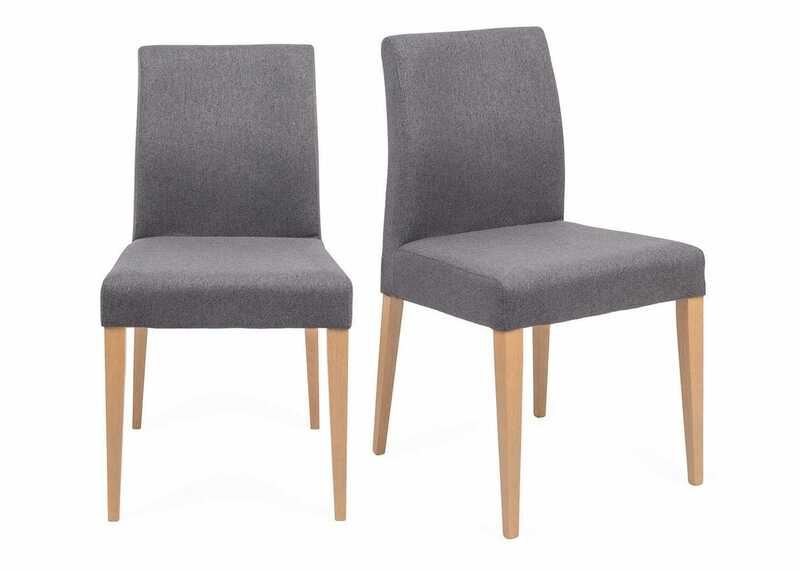 Produced with fully FSC quality wood, the chair comes fully assembled with one piece of timber being used for the full height of the chair from base to top, increasing durability and structural integrity. 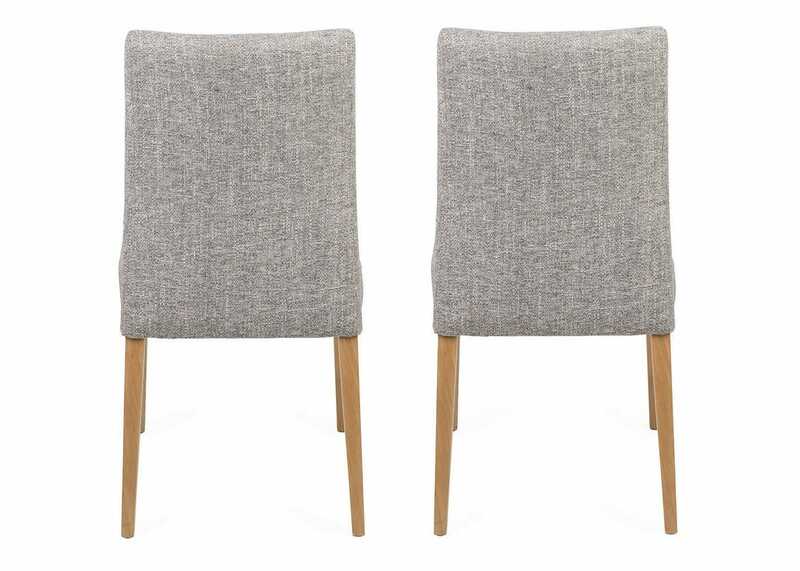 Polyester used for seat is durable and easy to clean, perfect for the dining room environment. Legs lacquered in water based paints and have passed contract use testing, meaning they are very high quality. The Chair is available in four fabric variants as well as two Beech stains, making them remarkably easy to match with our range of dining tables. Natural beech leg options complement our wide variety of oak tables whereas the dark stain leg options complement our range of walnut and dark stained tables. 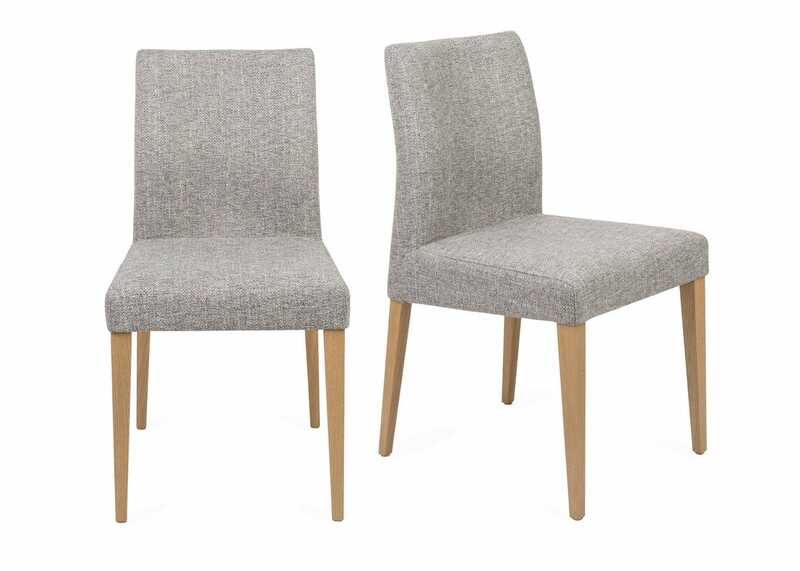 Upholstered in a choice of four fabrics and two wood finishes to best suit your dining environment. Beautifully curved back of the chair is created with a foam build up for the utmost comfort. 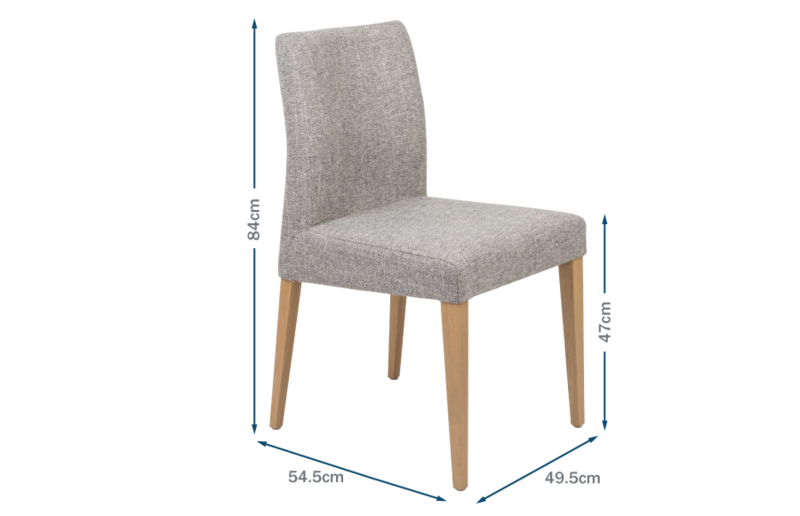 The chair curves in a reclining manor as well as around the base of the back for added comfort. Volcano Fabric: Martindale Rub Count: 60,000. Composition: 100% Polyester . Joshua Fabric: Clean with a water based product such as foam from a mild detergent such as upholstery cleaner, use sparingly and avoid over wetting, always blot never rub. Frequent light brushing and vacuuming is recommended. Volcano Fabric:To remove most common stains clean as soon as possible, absorb wet stains. Wash with an ordinary detergent and water.